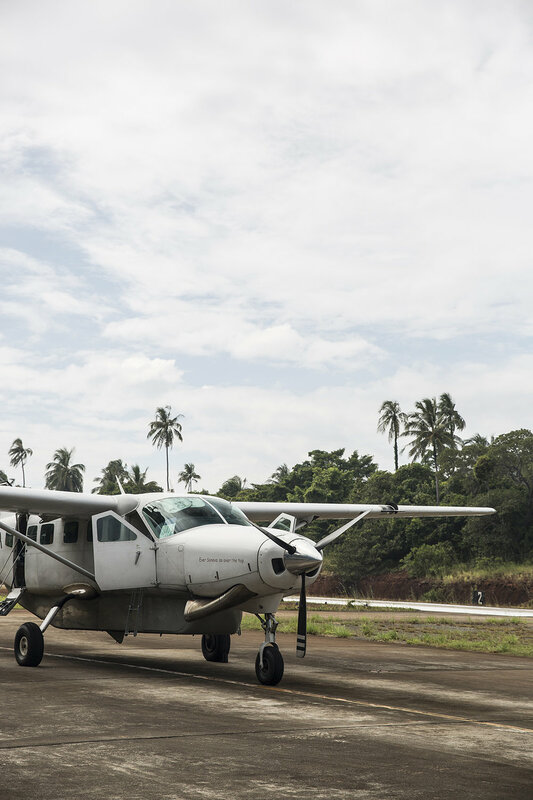 Stepping on the Soneva Kiri private plane, which is stocked with snacks, drinks and clad in gleaming wood, you know you’re on your way to island bliss. 45 minutes out from Bangkok, the clouds clear and tiny spits of land fringed with white beaches and palm trees appear and it seems at though paradise has been found. Stepping on to the boardwalk that skims over glimmering aqua water, you’re met with beaming smiles from the Soneva staff. Your “Friday” (assigned staff member) quickly encourages the hotel’s “No news, no shoes” ethos. And we’re delighted to embrace it. 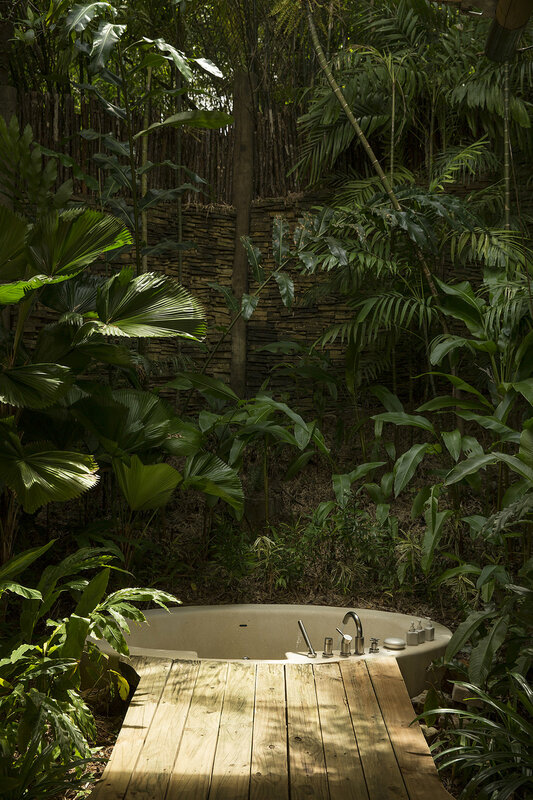 There’s internet should you desperately need it, but Soneva Kiri really is the place to switch off. Koh Kood is an remote island and reminiscent of what Thailand was 30 years ago before it’s inundation of tourism. 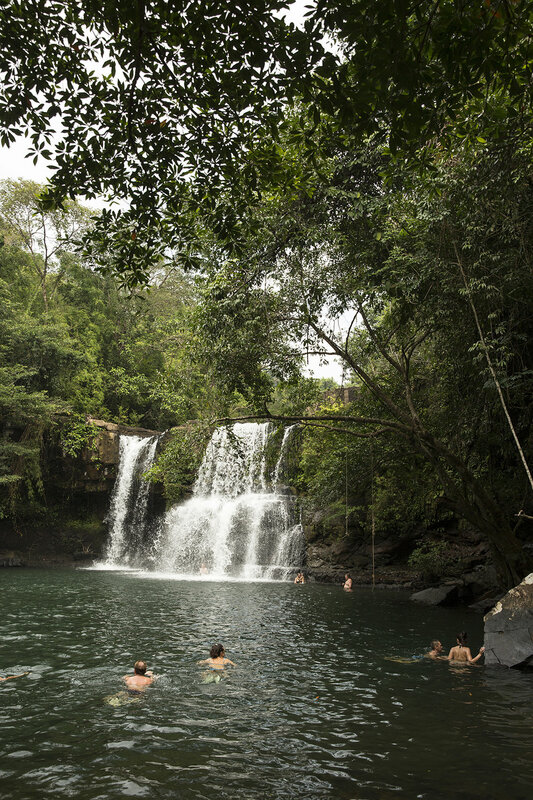 Here, you can visit local fishing villages without seeing another tourist or walk in to the jungle and find hidden waterfalls for a lazy afternoon dip (which the resort can easily arrange for you). 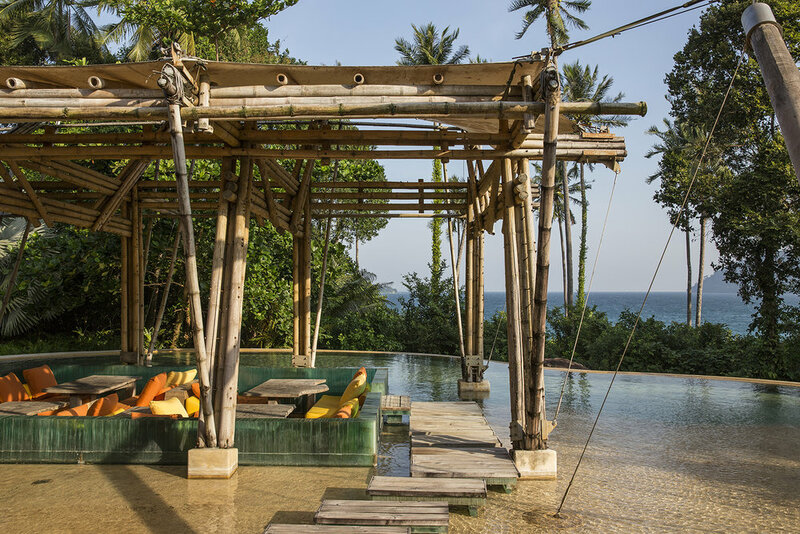 Soneva Kiri is a resort that draws on this laid-back island lifestyle and gives guests an authentic Thai island experience in a luxe setting. Set out over a sprawling property, you’re not short on resort activities. There’s a private beach on a nearby island, a chocolate and ice cream bar, open air cinema, countless restaurants and a treepod for afternoon tea just to get you started. Your villa is a sanctuary, with a billowy draped bed overlooking the beach, dressing room, deep-set bath, outdoor shower and multiple places to lounge. You’re also equipped with your own buggy, to zip around the resort with ease. 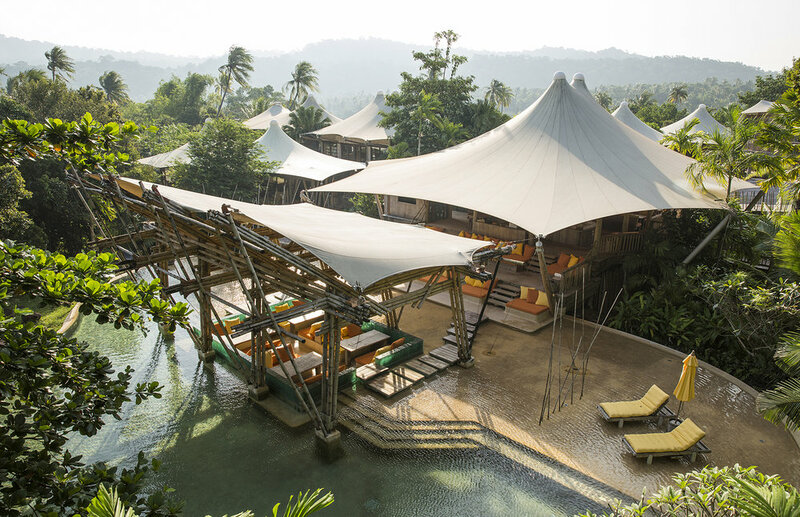 Villas are nestled along the beach and in the jungle, some with beach access, others with panoramic vistas. Choosing where to eat is the hardest decision to make during your stay at Soneva Kiri. Do we feast on the buffet that is a salivating selection of authentic Thai curries and Indian classics? Do we spend the night at Benz, a Thai degustation restaurant which is set on the water and accessible by a romantic boat ride? Then there’s The View restaurant, which overlooks the ocean to a stunning sunset for Western dishes. They’re all outstanding and the chefs employ expert techniques to ensure authentic flavours and freshness. Breakfast is a stand out, with an endless selection of Asian and Western favourites. Cleaning noodle soup is prepared fresh with healing chicken stock, tropical fruits are freshly cut and there’s a brilliant deli-room with smoked meats and cheeses sliced to order. There are plenty of healthy options too with almond pancakes on the menu and a juice bar with an abundance of fruits, vegetables, seeds, nuts and wheatgrass to create your ultimate cleanser. For wine lovers, book in for a tasting with the sommelier where you can try exceptional wines from around the globe, matched with canapes. There’s also a fabulous open air bar which is a great spot for sunset and a Thai inspired cocktail. And whilst this all sounds perfect for a loved up couple, families are well taken care of. There’s a fantastic kids centre which runs throughout the day and lots of water activities such as paddle boarding and kayaking. 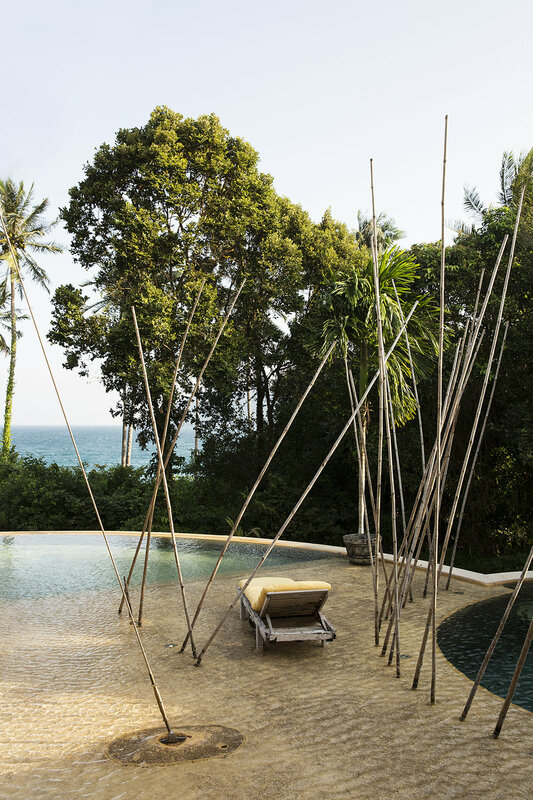 There are fishing tours, an observatory for star gazing, a nanny available should you crave some rejuvenation at the world-class Six Senses spa or private time away from the kids and cooking classes which are suitable for all ages. Quite frankly, no detail at Soneva Kiri has been overlooked and employs Sovea’s sustainability practices just like their Maldivian sister properties. In terms of resorts, it’s one of the few places that will give you a true Thai experience, without the crowds and make you fall in love with Thailand. ROOM PICK: Any but we love the villas that offer direct beach access. MINI BAR: Water is refilled daily. There's a full mini bar with local snacks, coconut juice, beer and wine charged on consumption. LOCATION: Koh Kood - a 40 minute plane ride from Bangkok. RATES: Starting at $1048 AUD p/n. POOL/GYM/SPA: There's complimentary yoga classes that run throughout the week and a fully equipped gym, Six Senses Spa and pool. TURN DOWN SERVICE: Yes, with fresh fruit and water. GETTING THERE: The resort has a private plane that departs from Bangkok International Airport. The writer was a guest of Tourism Thailand and Soneva Kiri.